Kids are inquisitive by nature and generally end up doing things, which they mostly restricted from doing. No matter how well you explain them about the unforeseen dangers around the pool, they will still land up there unsupervised. Whether you have a pool on your property or you run a commercial institution with pool in it, it is a wise idea to safeguard the kids by installing secure pool fences. That is why, at Kid Safe Pool fencing, we offer services of security fencing in Melbourne that are safe and dependable. Our services of steel pool fencing in Melbourne are second to none, with high-quality products and superior installation services. Being in the industry for over two decades now, we offer our services to both residential as well as commercial properties. Therefore, whether you own a pre-school, nursery, children’s park or kindergarten, we are here to safeguard kids from uncalled poolside misfortunes. We stock top quality powder-coated steel fencing products that are designed to withstand the test of time. 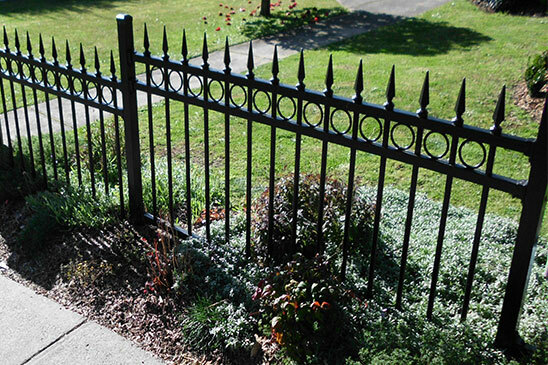 Determined to achieve utmost customer satisfaction, we use premium quality steel fencing materials. All our products, including latches and locks, are steadfast and ensure that your family’s pool time will be safe and filled with fun. Being completely compliant with the National Australian Safety Standards, our fencing supplies are made from superior quality galvanized steel. We have installed steel pool fencing barriers for homes, schools, day care centers, children’s nurseries and various other residential and commercial premises. Get a step closer to safeguard your kids from dangers, such as accidental drowning, by reaching us at 1300 840 095. We would be happy to hear from you. You can either post your queries online or drop a mail to info@poolfencing.com. We will get back to you with a free quote.